Oysters shells are fairly uncommon on our local beach – we have no estuaries where they breed When they do show up locally, oyster shells are usually large and very old, such as this one. They have travelled a long way to become part of the still life arrangements on our tide line. 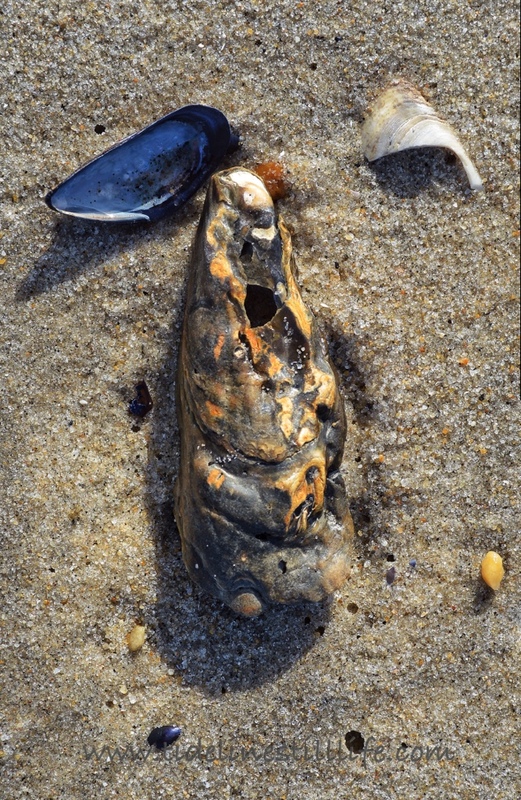 This one’s coloration was unusual, and its placement seemed to gently urge me onward down the beach.